Many D.C.s are great. If you are seeing a chiropractor and have had good success, fantastic! I am the last person to interfere with something that’s working. But if your “genius” has been “fixing” you for years and you are still the same as when you started… it might be time to rethink chiropractic. I am NOT a fan of the subset of chiropractors who indiscriminately and overzealously use HVLA adjusting (high-velocity, low amplitude – you know, that violent cracking). Low-force chiropractic like Network, BGI, and activator is absolutely safe, and there are lots of other techniques besides HVLA that are fine. HVLA is appropriate when used to correct an acute injury, like putting a dislocated shoulder back in the socket, but it should not be a frequent therapy. Repetitive stress of supportive ligaments and the resulting inflammation will actually damage the joint. My information comes from my time at chiropractic school (I completed the first year, including the entire series of cadaver dissection, with nearly straight A’s), my knowledge of functional anatomy as a certified personal trainer and amateur bodybuilder, my 10 year partnership with an Osteopathic medical doctor, my experience seeing patients who have been damaged by repetitive HVLA, and discussions with many physicians of all types. I welcome input from any chiropractor who is interested in a fact-based discussion. Personally speaking, I suffered a terrible injury when my car was broadsided in the first week of chiropractic school. Their treatments were making me worse, and the more I learned in school, the more I understood why. 1) It doesn’t treat the cause of the problem. Bones don’t move by themselves. If a bone is repetitively out of place, it’s because there’s a tight muscle pulling it that way, or a weak muscle failing to hold the bone in place. Jamming the bones back will cause micro-tears of that tight muscle. It feels good immediately, because you get a nice adrenaline rush along with your temporary fix. An enlightened chiropractic teacher compared HVLA to the shock and rush you get from a shot of vodka. Addicting, but not necessarily good for you. Unfortunately, as soon as the muscle goes back to its usual tight, spasming self, the bone will be pulled back out of alignment. That’s why you need to go back to the chiropractor the next week. Acupuncture and medical massage use the neurological system to retrain those tight muscles, so real healing can begin. 2) Our ligaments and tendons are there for a reason. They provide much-needed joint stability and hold us together. Repetitive HVLA weakens them, and can destroy your joint integrity. We all know that an ankle, having been sprained three times, is pretty much guaranteed to twist again. You do not want that floppiness in your spine. You should not able to crack-crack-crack your back simply by stretching. That’s called hypermobility and it means you can move too much. If you have already been damaged by too much HVLA, you will need to strengthen your back and abdominal muscles to help support those loose ligaments and tendons. Hypermobile backs are more likely to suffer a serious injury if you have an accident (this is what happened to me!). 3) Your reflexes work against HVLA. Quickly yanking on a muscle – even a relaxed one – can cause damage and inflammation. There’s a built in protective reflex that tightens a muscle when it is suddenly lengthened. You can feel this: Fold your friend’s arm at the elbow and put your hand on their bicep. Straighten the arm quickly, and you can feel the bicep twitch under your hand. Now imagine that happening to an already-sore neck muscle being snapped. 4) The pop means nothing. The cracking sound doesn’t necessarily mean you’ve been adjusted properly. It’s called cavitation, and it means that nitrogen gas, naturally occurring in your joint fluids, has been released. A similar thing happens when you open a can of soda. The sound means the bones have been rapidly separated (opening the joint space) and then have come back together. They may have come back to the same position, a better one, or a worse one. Misalignments, when corrected gently OMM style, do not make a cracking noise because the joint space is eased into the correct position rather than violently forced. 5) First, do no harm. Some chiropractors don’t bother to diagnose which level is dysfunctional. They just “shotgun” you by cracking all the vertebrae in your spine. Then they flip you over and do the other side. Why cause stress and create inflammation in a joint that’s working? Added bonus: Whenever you have inflammation, scar tissue forms. Trauma (HVLA) every week leads to more and more scar tissue building up. That’s the last thing you need when you’re already hurting. BTW: “But I can’t help it!” When you are out of alignment, your body will naturally feel compelled to snap itself back in place. After my injury I used to violently crack my neck and back all the time. It never really solved the problem, though… refer to point 1 above! The good news is that the desire to self-adjust melted away when my muscles – and more importantly, the neurons controlling those muscles – were corrected by acupuncture and Osteopathic medical massage. *Exercise is essential to strengthen weak muscles, remind tight ones how to relax, and get all your muscle fibers integrated and working together. We are built to move! I know firsthand how pain makes you want to curl up on the couch and wait for it to heal, but the hard truth is that it won’t really repair until you put in the work. Get on an anti-inflammatory diet, see me for basic physical therapy-type exercises, and start walking! Better yet, see an expert personal trainer. 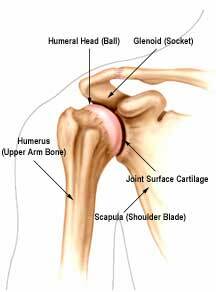 Front view of the bones of the shoulder joint. We can do amazing things with our arms. Lift them overhead, cross our chests, even link our hands at our spines. 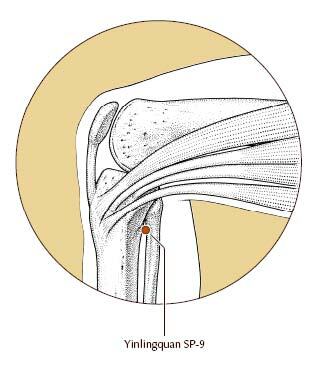 In fact, the shoulder is the most mobile joint in our bodies, thanks to its “ball and socket” configuration. See how the head of the humerus (upper arm bone) fits into the scapula (that triangular bone in your upper back) like a baseball into a glove? It can spin on the smooth, round surface to provide a spectacular range of motion. The posterior (back) view of the shoulder. Just as with national politics, there’s a trade-off between freedom and stability. 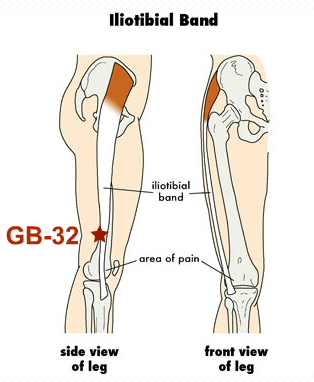 The complexity of this joint makes it prone to a variety of injuries. Cartilage lines the articulating joint surfaces to create a smooth track for movement. If torn, it takes a long time to heal and may require surgery. There’s the bursa, a fluid-filled sac that provides cushioning. Inflammation here, called bursitis, can be very painful. Rest, ice, anti-inflammatory drugs, and acupuncture are the best treatments (of course an anti-inflammatory diet will help, too). The well-known rotator cuff is actually a set of four deep muscles that stabilize the joint and work to rotate the humerus. Three (supraspinatus, infraspinatus, and teres minor) can be seen in the drawing of the back view of the shoulder. The fourth, subscapularis, attaches to the front of the scapula and goes to the front of the humerus and the joint capsule. If torn, they will require rest and then specialized exercises to repair. 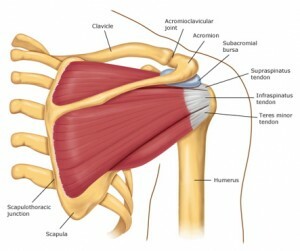 If any of these muscles are dysfunctional, the bursa is irritated, or the cartilage is torn, you can have shoulder pain and loss of range of motion. Connective tissue can adhere, and scar tissue builds up over time. In extreme cases, you can develop Frozen Shoulder, which is exactly what it sounds like. It just won’t move. There are other causes of shoulder pain, too, ranging from nerves being pinched at the neck to gallbladder disease, but these musculoskeletal problems are the most common. Acupuncture can reduce inflammation, increase bloodflow, relax tight muscles, and speed healing. I can also perform Osteopathic medical massage to break up scar tissue, release myofascial adhesions, and retrain the neurological system. This allows chronically tight muscles to return to normal. In most cases, therapeutic exercise is important for complete healing. *Please note that I’m simplifying the anatomy quite a bit for the purposes of this article. If you’re interested in all the marvelous details of our bodies, I highly recommend Netter’s Atlas. Let’s talk about the knee joint. It’s not quite as complicated as the shoulder, because it doesn’t move in as many directions. Having that kind of mobility with all of our body weight on top of it… well, that would be a recipe for disaster. Instead, we have a modified hinge joint. The knee folds, but it also twists a little bit. The trick is keeping this twist under control. 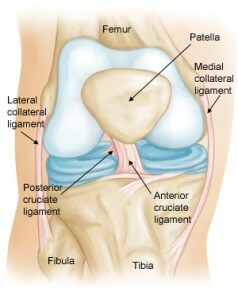 Front view of the knee joint. Collateral ligaments run along each side, and the cruciate ligaments (named so because they form a cross) inside the joint create stability. Strong quadriceps (a set of 4 muscles on the front of thigh), hamstrings (three muscles in back of thigh), adductors (inside) and abductors (outside) also support the knee. Slick cartilage lines the surfaces where bones meet. The meniscus, a pair of special horseshoe-shaped cartilage structures, help absorb shock and guide the movement of the femur. 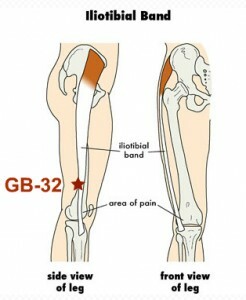 And there’s a bursa on top of the patella (kneecap) to provide some extra cushioning. Pretty neat design, huh? Sp-9 treats the knee, and drains Damp (a concept in Traditional Chinese Medicine). If your gait is off, it can affect your knees and eventually your hips and back. Good shoes are important for knee health. Avoid heels as much as possible. If you have flat feet, use shoes with good arch support. To prevent injury, frequent light workouts are best. If you are a bigger person or have joint issues, try to reduce impact: walking or using an elliptical trainer is better than running, and staying on grass or a rubber track is better than concrete. Did you know that babies are born without kneecaps? They have a cartilage wedge but it doesn’t ossify (turn to bone) until about 3 yrs old. Lucky for them – It makes crawling around on a hard floor much more comfortable. Acupuncture can reduce inflammation, increase blood flow, relax tight muscles, and speed healing. I can also do Osteopathic medical massage to break up scar tissue, release myofascial adhesions, and retrain the neurological system. This allows chronically tight muscles to return to normal. In most cases, therapeutic exercise is important for complete healing. *Please note that I’m simplifying the anatomy quite a bit for the purposes of this newsletter. If you’re interested in all the marvelous details of our bodies, I highly recommend Netter’s Atlas.